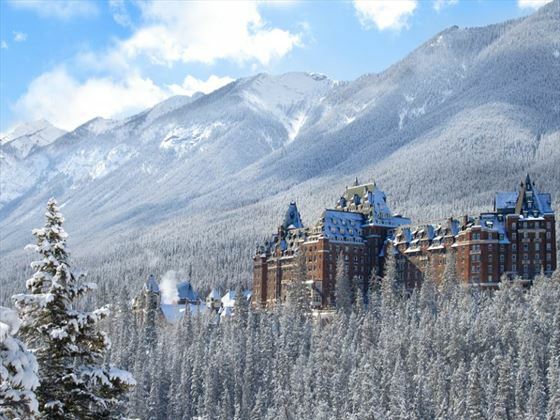 We have created this holiday to showcase the beauty of the Banff National Park in wintertime. You will have the opportunity to try out snowshoeing, to enjoy a sleigh-ride, to be guided through an icy canyon with frozen waterfalls and experience the exhilaration of snowmobiling. 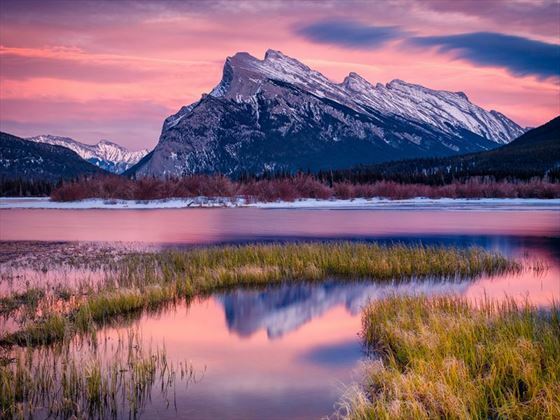 After a night in Calgary, you’ll spend three days in Banff and three days in Lake Louise, giving you time to admire the breath-taking scenery and soak up the magical atmosphere. 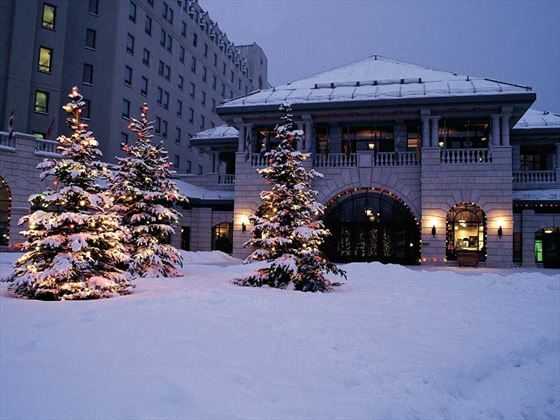 Fly into Calgary International airport and transfer independently to your hotel. 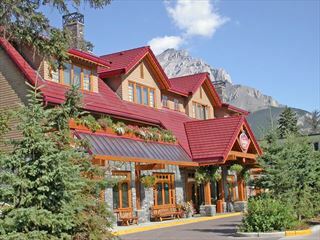 Take a scheduled transfer to the lovely mountain resort of Banff, in the heart of the Rockies. Explore the charming main street where you will find quirky boutiques, cosy cafes and lively restaurants, all with the magnificent back drop of the mountains. 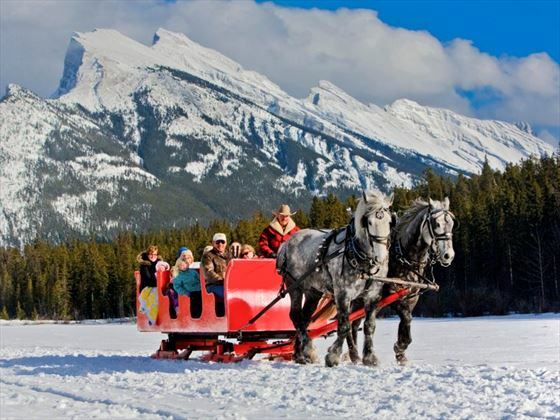 In the afternoon enjoy a tranquil sleigh ride amongst the spectacular setting of the Canadian Rockies – sit back and soak up the atmosphere and scenery. This morning you will be picked up for a guided walking tour through the natural wonder of Johnston Canyon in all its winter glory. Your transfer along the Bow Valley Parkway to the trail head offers great opportunities for wildlife viewing en route. On this exciting excursion you will trek across walkways built into the canyon walls and see breath-taking views of the gorge below. These walkways will lead you into the frozen lower waterfalls and through a cave before your final stop at the upper falls framed by enormous ice pillars. This tour includes the services of a tour guide, hiking poles and ice cleats, plus hot chocolate and maple cookies. 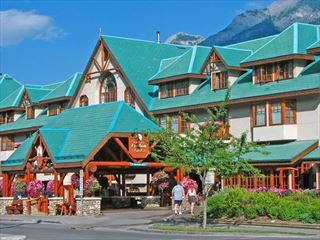 Today you have a free day, to either soak up the atmosphere of beautiful Banff. Enjoy a walk in this glorious setting then choose a cosy cafe for a hot chocolate. You could take the ski bus to Sunshine Village and board the 8-passenger gondola for a beautiful trip up into the mountains. When you arrive at the village area (approximately 20 minutes ride), you could have lunch at one of a selection of restaurants dotted around the village. Then ride the Standish Chairlift that will take you to the top of Mount Standish – the highest sightseeing elevation in the Banff Lake Louise area. 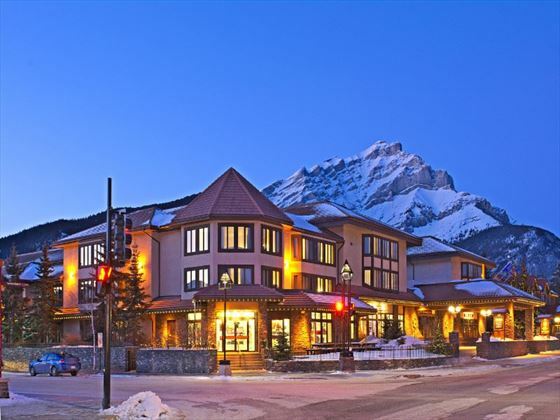 You will have beautiful winter view of the three high-alpine lakes and a superb view of Mount Assiniboine – described as the Matterhorn of the Canadian Rockies. You will be able to buy a sightseeing lift ticket locally for the ski bus and gondola for approximtely CAD $50 per person. 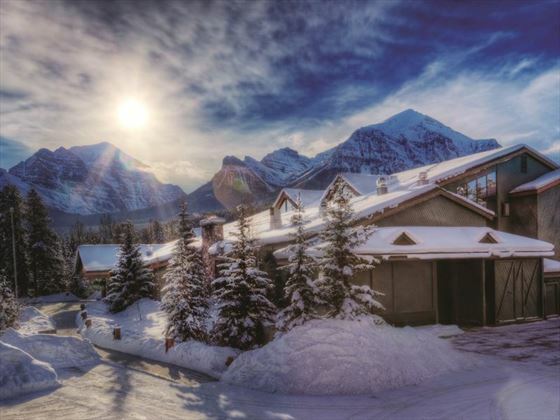 After a leisurely morning take the scheduled transfer to Lake Louise and check-in to your hotel. Take a stroll to admire the most photographed lake in Canada with its beautiful backdrop of soaring peaks and relax over a hot chocolate. Enjoy an “introduction to snowshoeing” tour. On this two hour guided tour, you will be taken to the top of the mountain to experience the breath-taking views normally only seen by skiers. 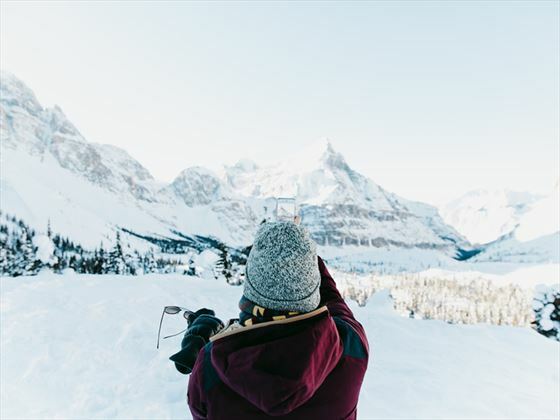 Certified guides will show you how to use snowshoes in a safe environment, while sharing stories of the history, landscape and wildlife of Lake Louise. On your final day you can take an optional full day Snowmobile tour through this awe inspiring region. First you’ll take a scenic transfer to the famous Kicking Horse Canyon. From you will embark on a guided tour through the remote wilderness area, with a hot BBQ lunch and snack en route. You’ll also be provided with all the necessary clothing. It’s your last day, and after a leisurely start, take the scheduled transfer to Calgary airport for your flight home.